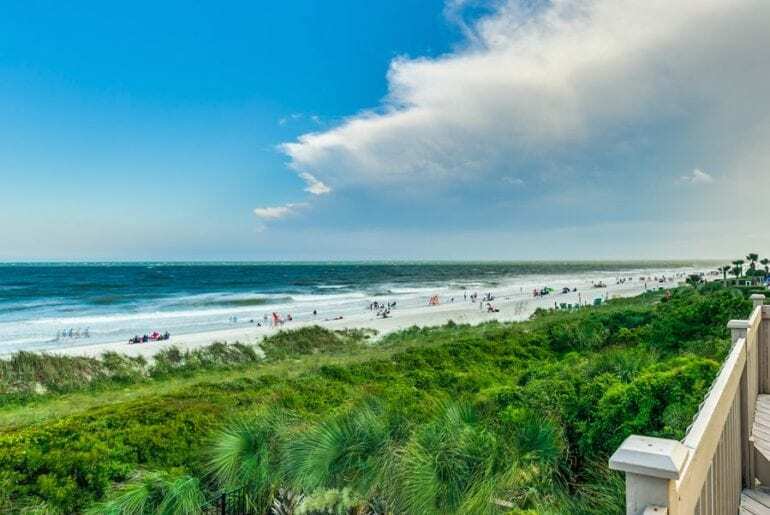 Myrtle Beach, South Carolina, is often dubbed as a tourists’ paradise, because of the abundance of activities you can enjoy while here with your friends and/or family. 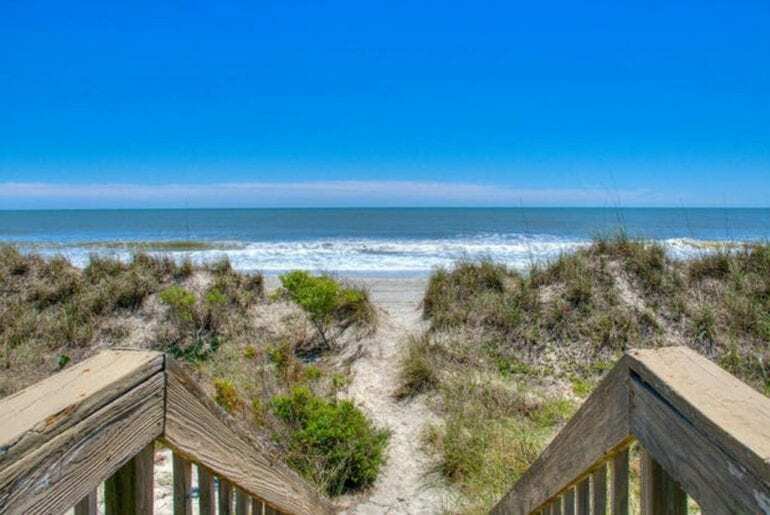 If you’re looking for the perfect Myrtle Beach VRBO for your next vacation, our guide below is the best place to start. 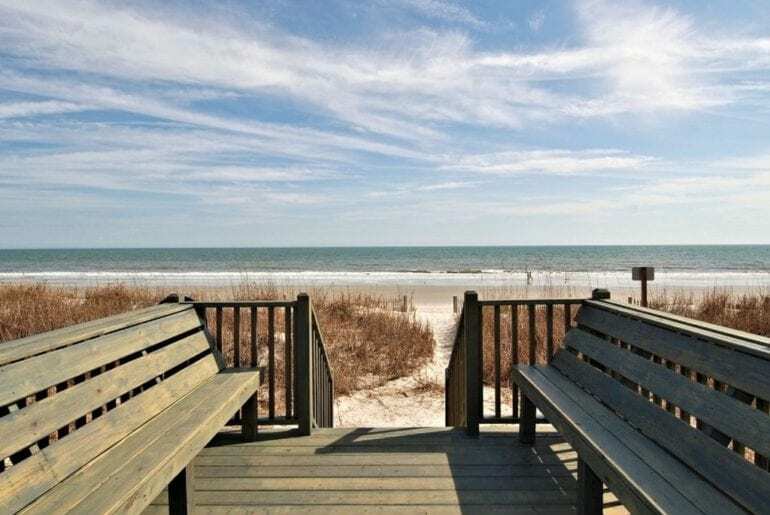 Situated on the coastal side of Horry County in South Carolina, Myrtle Beach is famous for being the center of “The Grand Strand,” a 60-mile stretch of beach extending from Little River to Georgetown, SC. Sunbathing and swimming at the beach aren’t the only activities you can enjoy here in Myrtle Beach—try visiting the amusement parks, museums (including art, history, and some oddities), water park, casinos, and gardens. All of that and Myrtle Beach is also brimming with excellent restaurants and interesting shops! It’s pretty hard to be bored here. 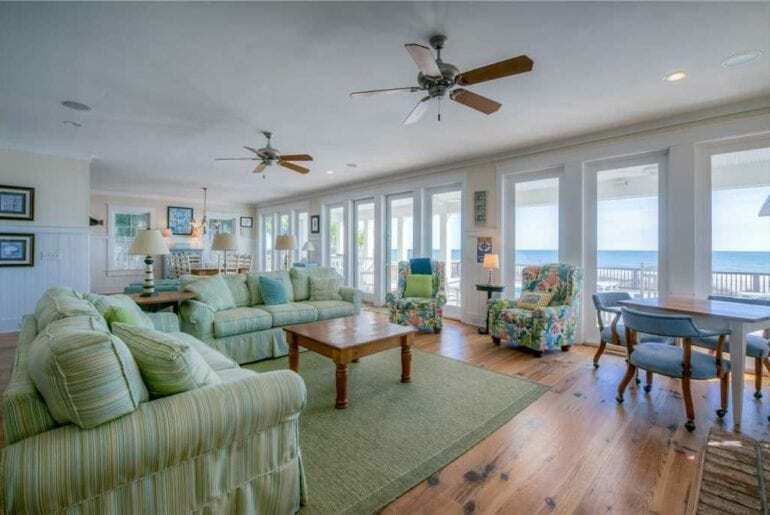 Whether you had a relaxing stroll on the beach or an exciting day at an amusement park, it is always nice to end the day in a calming and comforting oceanfront home. 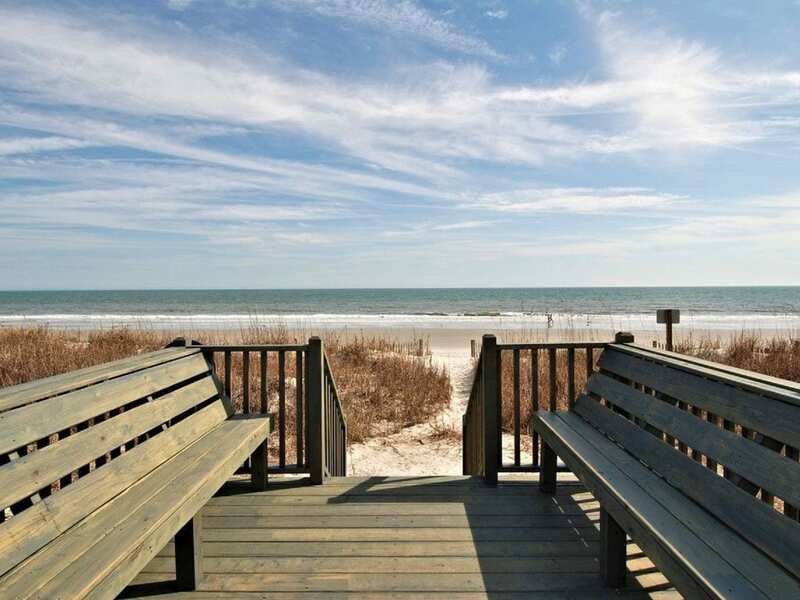 So take a look at our list below and you might find the perfect Myrtle Beach VRBO for your trip! 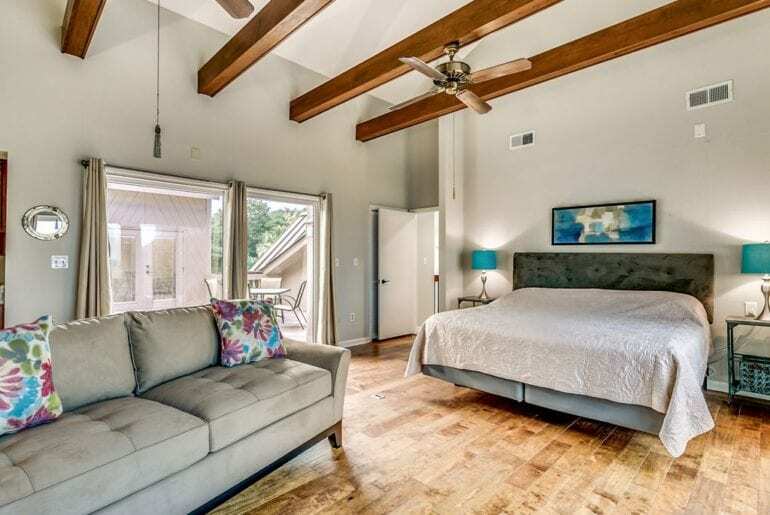 Where To Stay On Hilton Head: 8 VRBO Rentals We Love! Who says cozy and comfortable can’t be luxurious, too? 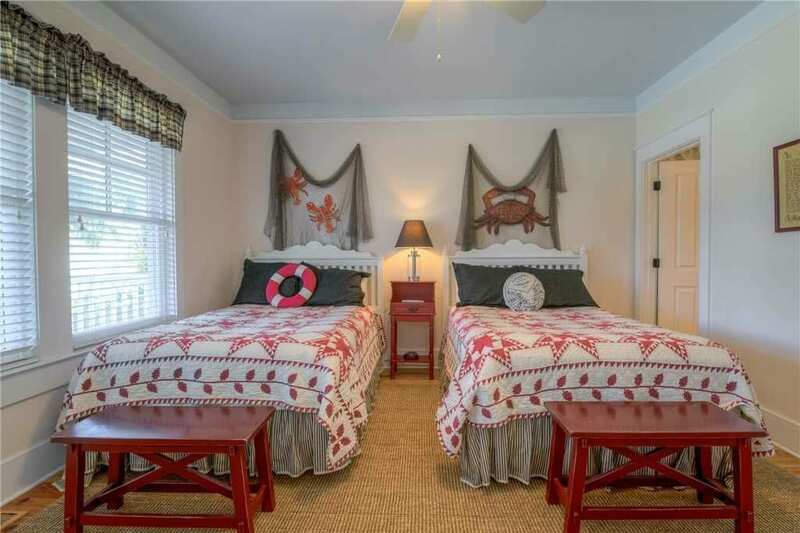 This homey abode is the perfect Myrtle Beach VRBO for families looking for a beachfront escape. 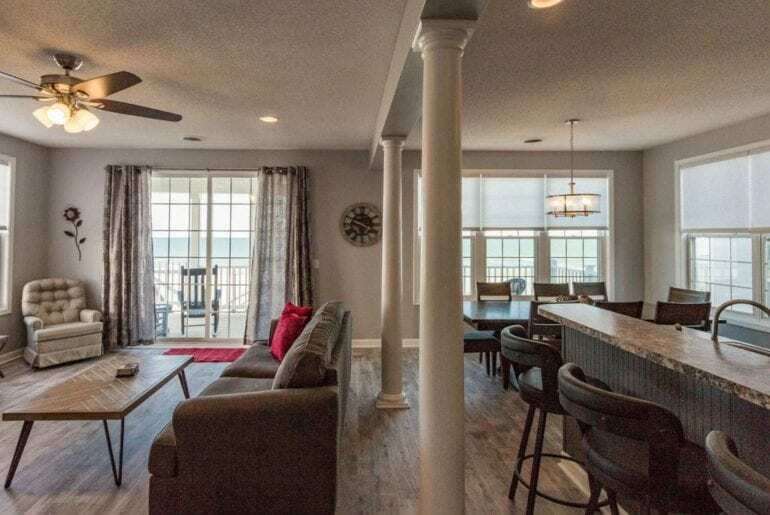 With space to accommodate a party of 8-12 guests, this newly redecorated 4-bedroom Myrtle Beach house could be yours from $705 a night. 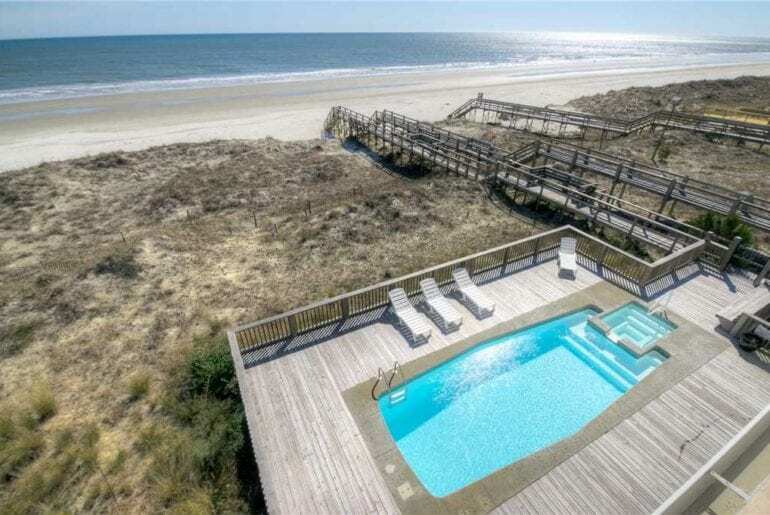 Located at Surfside Beach, this cozy dwelling has been recently redecorated with brand-new furniture and sleek appliances. The main floor is centered around an airy, open-concept plan merging the kitchen, dining area, and living area to create one cohesive space. Step out onto the large balcony to enjoy the sun beautifully slipping down behind the Atlantic Ocean. There are three bedrooms on the second floor, while the fourth can be found on the main level. Each bedroom has its own private bathroom, ideal for a large group of guests! 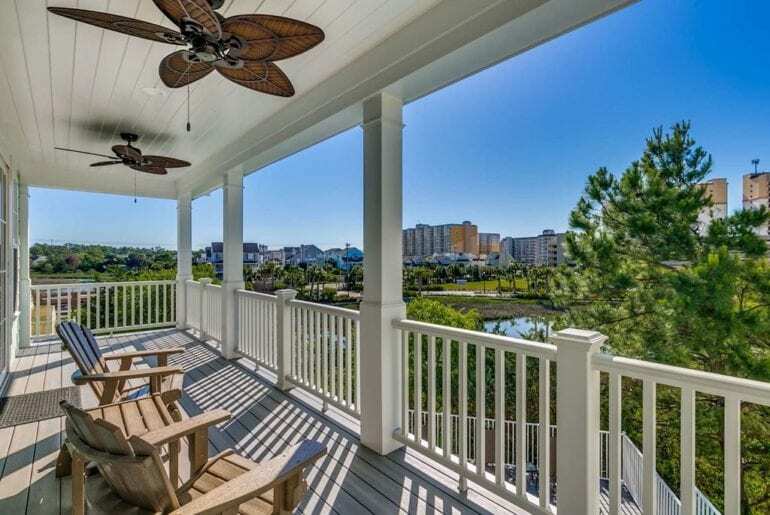 Enjoy carefree, coastal living from this upscale oceanfront home in Myrtle Beach. Located on North Ocean Blvd, the property is a short distance from all of Myrtle Beach’s famous water parks, outlet malls, museums, art stores, cafes, restaurants, and shops. It is safe to say that you will never run out of anything to do when you stay here! 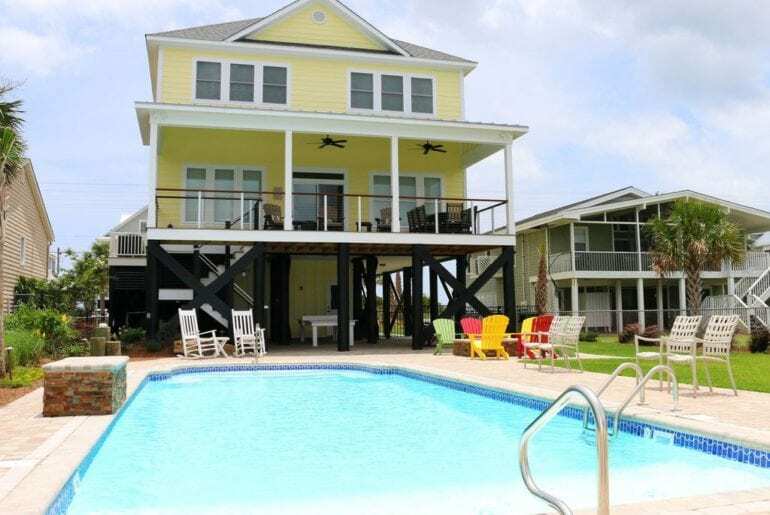 This Myrtle Beach VRBO has plenty of space to accommodate 12-14 people easily, renting for around $500 a night. This beach house has an expansive living/dining space which opens out to the pool area, patio, and outdoor lounge. It has a fully equipped kitchen where you and your friends can cook on those occasional nights you don’t feel like heading into town. Three of the six bedrooms have access to the enormous top-floor balcony, offering dwellers an unobstructed view of the ocean. Get a taste of how the other side lives when you book this upscale waterfront mansion on Litchfield Beach. This one is the absolute cream of the crop, quite possibly the most luxurious Myrtle Beach VRBO we found. Booking it will set you back an average of $2,600 a night but your wallet might breathe a sigh of relief to know that it can accommodate between 16-22 people! Located on beautiful Litchfield Beach, this sprawling manse is a short drive from many popular restaurants, cafes, and shops in town. If you’re somehow not in the mood to hit the beach, this posh home has its own private pool and hot tub. On the spacious first floor, find a fully-equipped kitchen, an enormous living room, and a dining area. Large glass doors provide access to the outdoors, opening onto a covered lounge area. There are eight bedrooms and 8.5 bathrooms, plus numerous bonus rooms with a library, billiards table, and a home entertainment system for epic family movie nights. 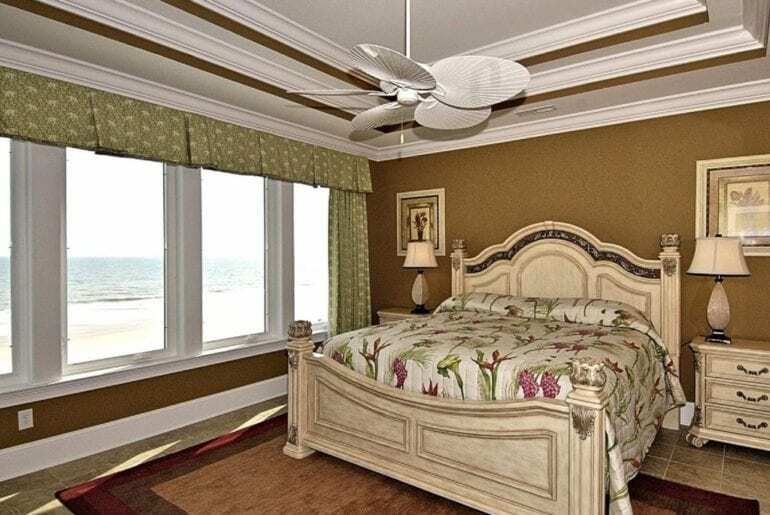 Enjoy sweeping ocean views from nearly every room in this elegant oceanfront property in Myrtle Beach. 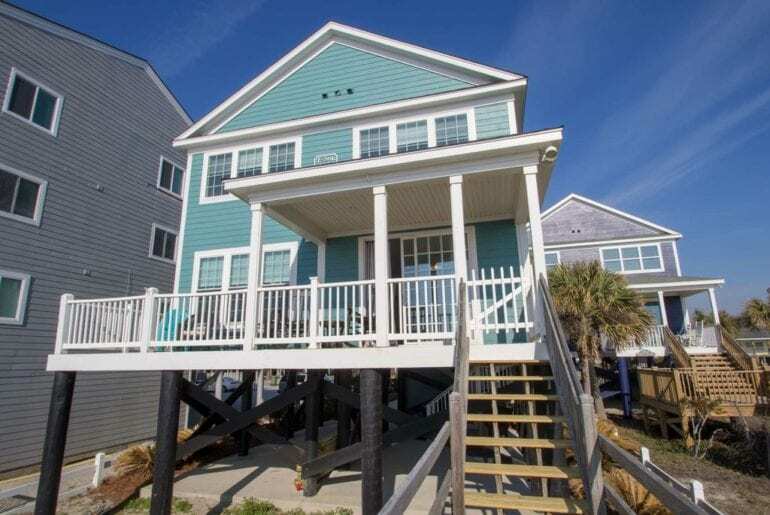 This premium South Carolina beach vacation rental is just a few steps away from the water and an easy drive into town. Ideal for 10-13 guests, this space is perfectly set up for families with kids. There are two kid-friendly bedrooms, one with a double bunk-bed and one with three single beds. The remaining four bedrooms are spacious and bright, with access to the upper level’s scenic ocean-view balcony. The airy and spacious floor plan of the main level gives the home a natural flow between the indoor and outdoor living areas. 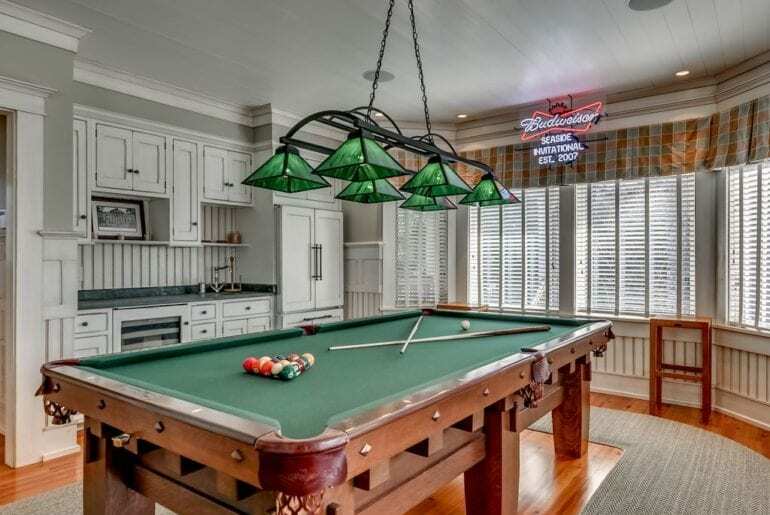 The excellent layout is particularly great for entertaining, as guests can feel connected in all spaces from the billiards table to the fully-equipped kitchen. Enormous sliding glass doors give easy access to the outdoor living space with a beautiful patio and large swimming pool. There’s no chance you’ll ever tire of the fresh sea breezes and stunning ocean views! 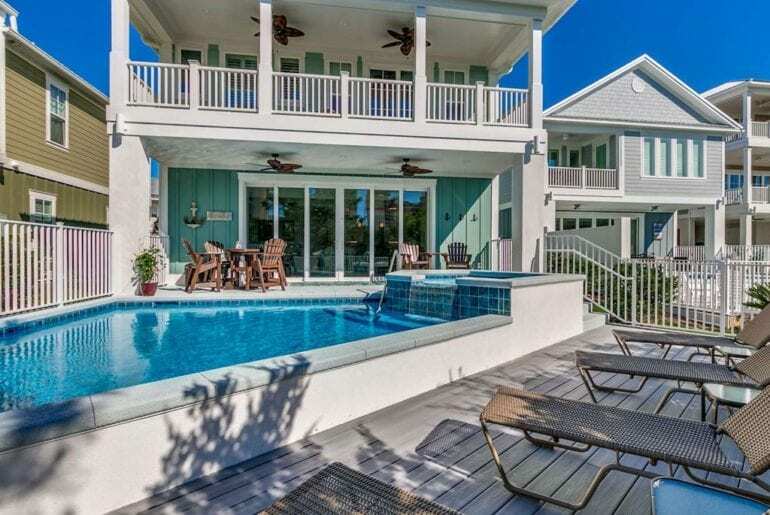 Located just 100 yards from the resort pool complex and beach, you’ll get to enjoy additional luxury amenities when you choose this beautiful Myrtle Beach family home with a private pool. Situated within the North Plantation Beach Resort, you’ll be minutes away from several shops and restaurants, plus exciting activities like the famous Skywheel and local amusement parks. 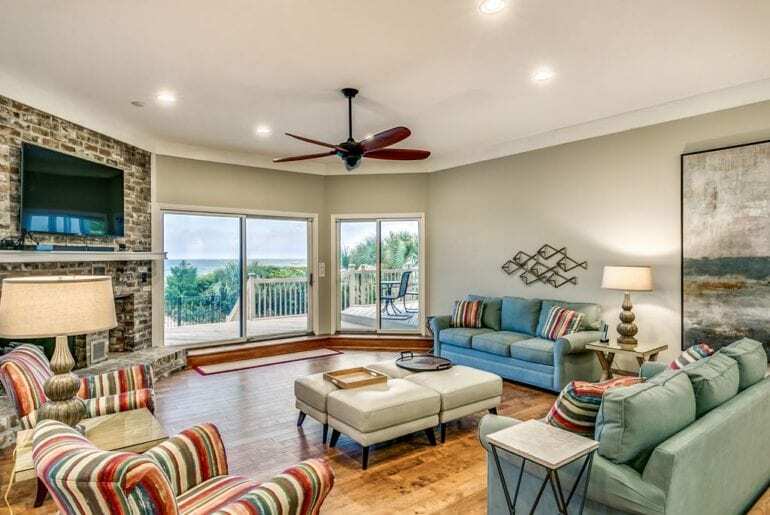 The perfect setting for a family vacation in Myrtle Beach, this home can accommodate 8-10 guests from just under $700 a night. 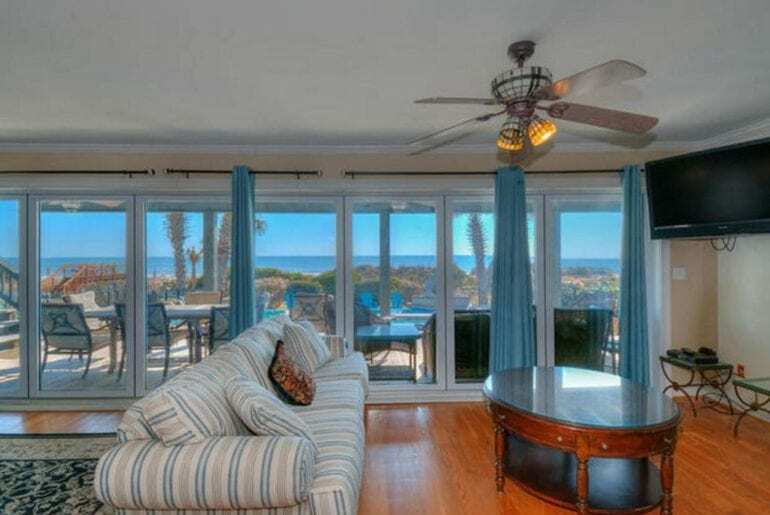 Like many of the best Myrtle Beach VRBO rentals, the living room, kitchen, and dining area share an open floor plan. Sliding glass doors open out onto a private backyard with your own swimming pool and lounge area. 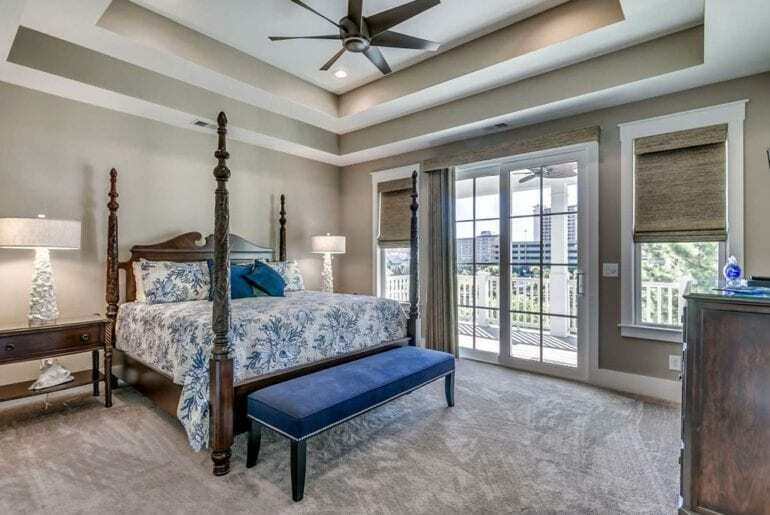 There are four spacious bedrooms and 4.5 bathrooms, meaning ample space for everybody! On the second floor is a covered patio balcony, perfect for watching the sunset or simply taking in the lovely views. When you stay at this property you can also enjoy many excellent amenities at the resort like usage of the spa and larger pool complex. 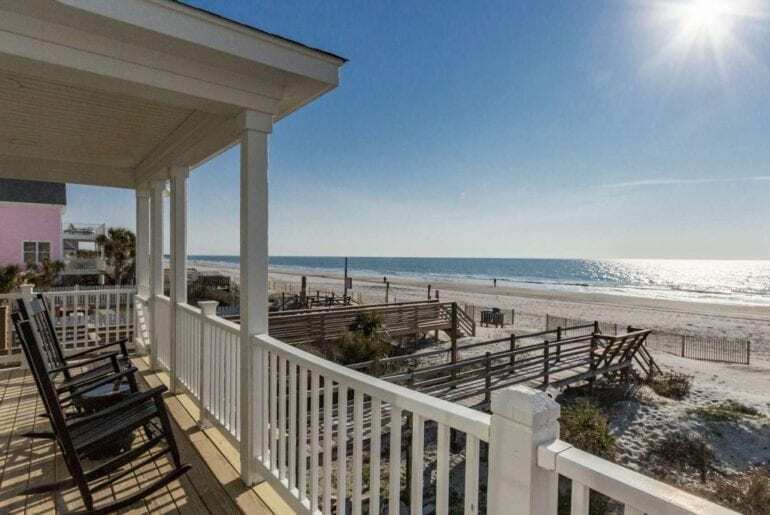 This large, beachfront property in Pawley’s Island is perfect for medium-sized groups, able to accommodate from 12-18 guests easily. 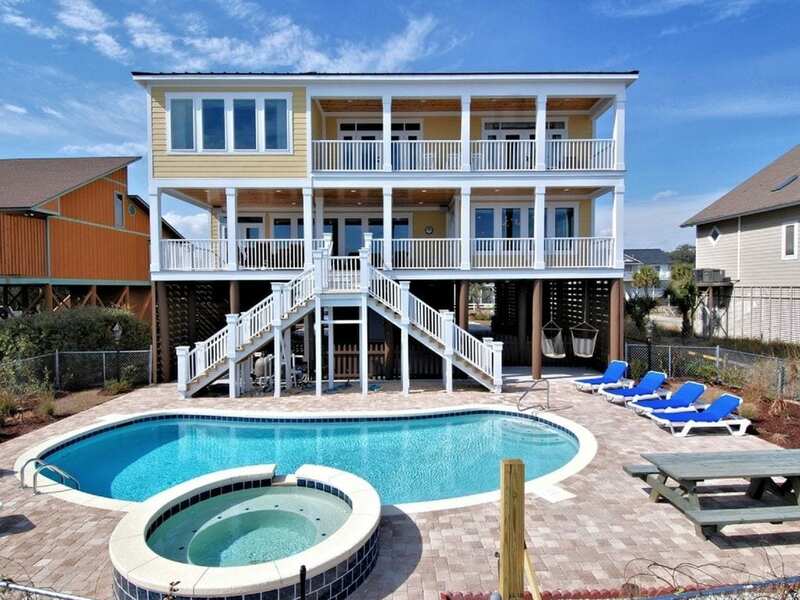 This fantastic luxury Myrtle Beach VRBO rental is just steps from the beach and can be yours from around $700 a night. With six bedrooms and 7.5 bathrooms, your entire crew will be easily sorted here. The lovely gourmet kitchen is a real highlight, especially if someone in the group loves to cook! If no one volunteers to self-cater, there are plenty of great local restaurants just a short drive away. Panoramic ocean views are par for the course at this stellar property. The sea is visible from pretty much every room, but the upper floors enjoy generous-sized balconies as well. Outside is a large, heated swimming pool, spacious deck with sun loungers, and a covered porch for relaxing in the shade. 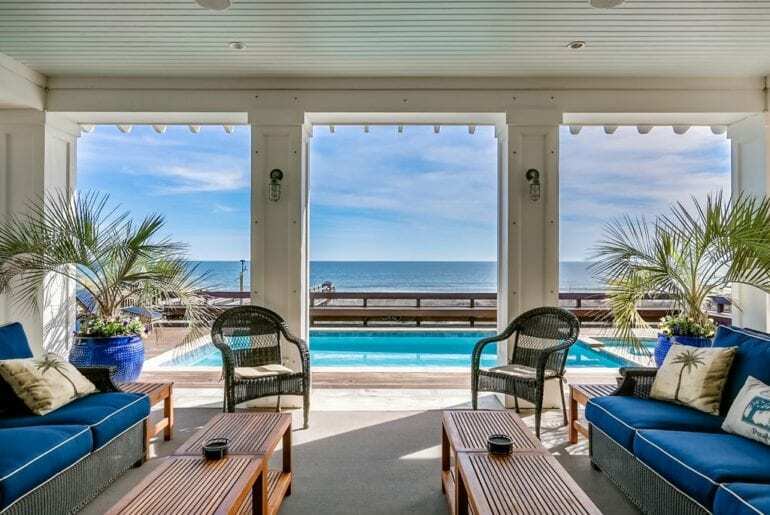 Experience unparalleled views of the ocean from this colorful, 6-bedroom house in Myrtle Beach. Located at Garden City Beach, the property is close to many of the area’s top attractions, including the Pier at Garden City and Marlin Quay Marina. This house is the perfect choice for a group craving easy, breezy, beachy vibes! 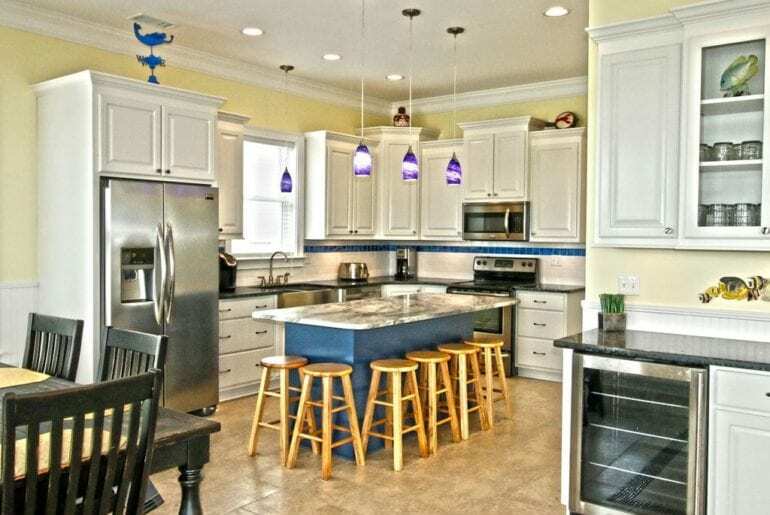 This Myrtle Beach VRBO can easily house a maximum of 15 guests and is available to rent from $1,200 a night. This laidback yet lavish house is not just perfect for relaxation, it’s also great to enjoy one another’s company. Settle in on the cozy couches and enjoy one of seven flatscreen cable TVs distributed throughout the house, plus an excellent stereo system. 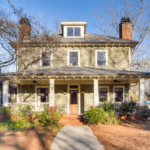 This inviting, relaxing house has a large porch, swimming pool, gazebo, and its own docking station. You might feel so at home you won’t want to leave! 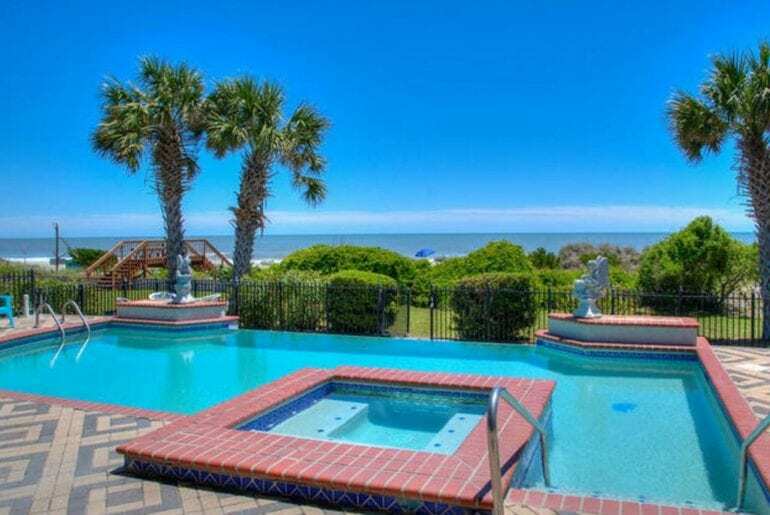 Experiencing paradise while on vacation is possible when you’re staying at an oceanfront Myrtle Beach VRBO like this one. The perfect getaway for a large group, this 8-bedroom house can easily and comfortably accommodate up to a whopping 26 people! How about that for your next family reunion in Myrtle Beach? A little slice the most popular beach destination in America could be yours from just about $1,400 a night. This pet-friendly rental property is located on the Long Bay Estates, close to many restaurants and shops. Access the beach through a private deck walkway connecting the house to the shoreline. You also have your very own private swimming pool with jacuzzi, in case you’d like a bit more privacy. Go ahead and work on your tan on one of the loungers! 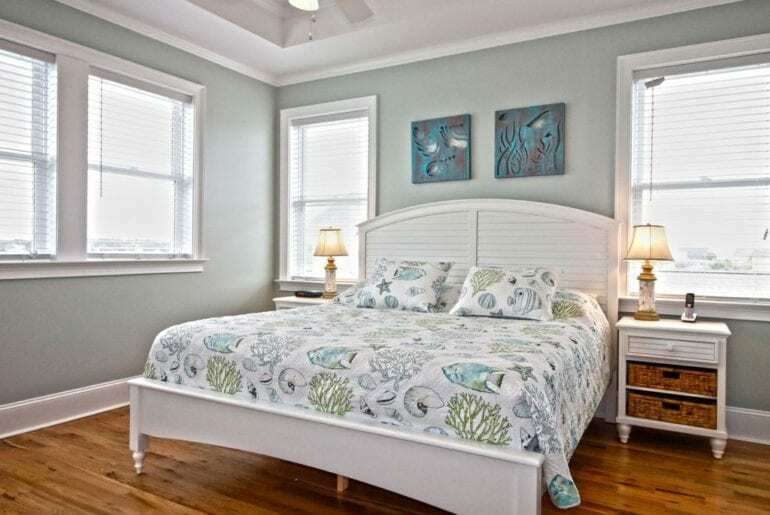 This large rental home has eight bedrooms, tastefully furnished to ensure maximum comfort and a good night’s sleep. The first and upper levels both have patios with additional space for relaxation or to simply enjoy the view! This is Myrtle Beach living at its finest.